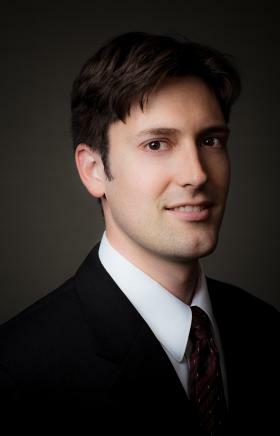 Wade R. Kackstetter joined the firm in 2008, after working as a law clerk for the Los Angeles Superior Court from 2007 to 2008. Wade's practice areas include business and real estate transactions, automobile dealer law, compliance and advertising law, and business and consumer litigation at both the trial and appellate level. In business and real estate transactions Wade assists clients through each stage of the transactions, including structuring economic and noneconomic terms, drafting and negotiating the letters of intent, purchase agreements, leases, and ancillary agreements, assisting clients in all aspects of the due diligence process, including, in real estate transactions, review and analysis of title, surveys, CC&Rs, liens and leases affecting relevant property, and closing of escrows. Wade has successfully assisted in the negotiation of high value asset and real estate purchase and sale transactions, and has assisted clients in negotiating favorable commercial single and multi-tenant leases. Wade has also assisted a major financial services company in updating and revising multiple loan document forms, including security agreements, promissory notes and guaranties. Wade also has experiance in litigation matters, including drafting pleadings and motions, preparing and responding to discovery, factual investigation, settlement negotiations, and appeals. Wade has also represented clients in administrative matters, such as protests before California’s New Motor Vehicle Board. Tenant v. Landlord Arbitration. In commercial multi-tenant lease setting, achieved substantial reduction in rent for dealership tenant against national property management company. Wade is a member of the Los Angeles County and Beverly Hills Bar Associations. When he is not working, Wade enjoys spending time with his wife and children. Manning Leaver Partner Brent Smith attended the 2015 NADA Convention and Expo in San Francisco. In connection with that event, NADA announced the release of its latest compliance publication entitled “A Dealer Guide to Federal Advertising Requirements.” This publication was prepared for NADA by Manning Leaver and authored by partner Brent Smith. Click news item link above to see the manual.